Home//News//Welcome our New England Executive Director! Welcome our New England Executive Director! Let’s Get Ready welcomes Allison Caffrey as executive director for New England, overseeing programs for students at locations from Central Maine to Rhode Island. She will be based in the organization’s Boston office and will support staff and partners across the region. She begins on April 23. 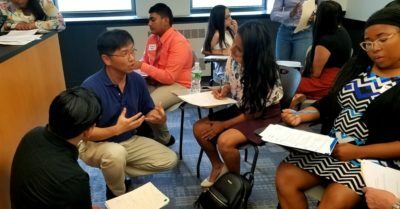 Caffrey is experienced in the nonprofit and education spheres throughout New England, having served as a teacher, development director, and trustee at Esperanza Academy in Lawrence, MA. Previously, she worked on strategic giving at The Philanthropic Initiative in Boston. Throughout her career, she has focused on increasing opportunities and resources for young people, including children from lower income backgrounds and first-generation-to-college students. “Let’s Get Ready helps students who might not have access to SAT prep or know the details of the college application process. In today’s economy, access to and success in higher education can define the future and we want every student to believe their possibilities are limitless,” Caffrey says. 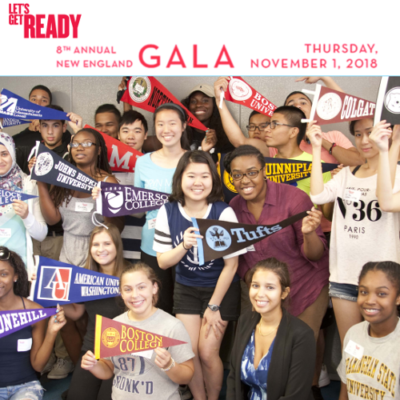 Let’s Get Ready New England partners with colleges across the region such as Boston College, Colby College, and Tufts University, as well as high schools and community-based organizations, to offer College Access programming to high school students in historically underserved communities. 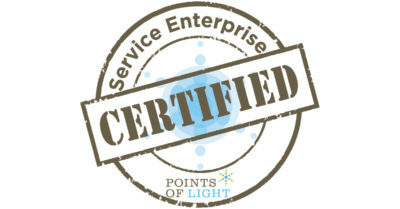 Let’s Get Ready also partners with universities to offer near-peer support to college students. Many Let’s Get Ready students are the first in their family to attend college and face significant obstacles to higher education. The program is open to students of all abilities who aspire to attend college. “I’m excited to be working with an organization that sees the whole picture. 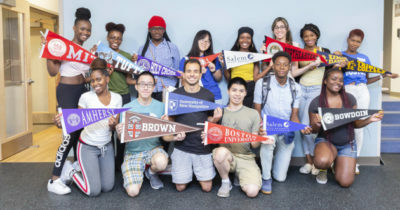 By providing both access and success programming, Let’s Get Ready ensures that students not only get into college, but are supported at every step along the way to succeed in their studies and earn their degrees,” Caffrey adds. Caffrey is a Boston resident and graduate of Dartmouth College. She earned a master’s degree in education policy and management from Harvard University.